Not long before World War II ended, Germany sent its mighty V-2 rockets to major European cities like London and Antwerp. Not only did those rockets cause tremendous damage, they shock the confidence of people living in the impacted towns. 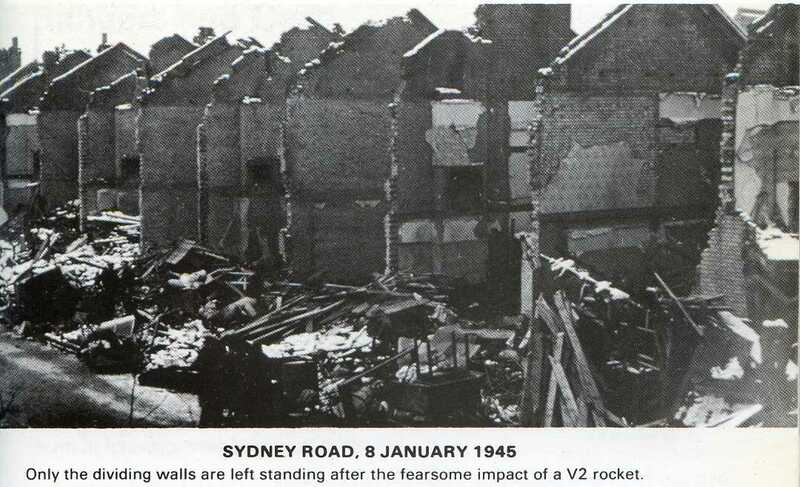 In this image, we see the damage inflicted on a street in London in early January of 1945. People within the V-2's range were grateful that Germany did not have this fearsome weapon of mass destruction completed earlier in the war. American and Soviet troops searched for the V-2 production sites. Both sides wanted to find where the rockets were being made so they could use the information for their own purposes after the war was over. 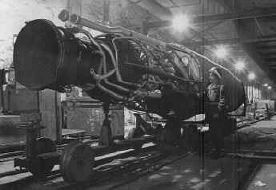 Americans, who discovered the Nordhausen V-2 plant, could not ship-out all the V-2 rocket inventory before the Soviet army also came upon the plant. As a result, both the Americans, and the Russians, had firsthand information about the V-2s. Underneath Kohnstein Mountain, about 250 [V-2] missiles were found in various stages of completion on the Mittelwerk assembly line. As the search for Hitler’s scientists continued, Allied forces made another startling discovery at Haigerloch. Deep in the rocks, underneath the town's castle church, they found a German-built nuclear reactor. A stockpile of uranium—about two tons’ worth—had been buried elsewhere, outside a nearby town. It took about twenty different planes to fly the uranium to Britain. Then ... Allied forces found a remarkable new German plane. 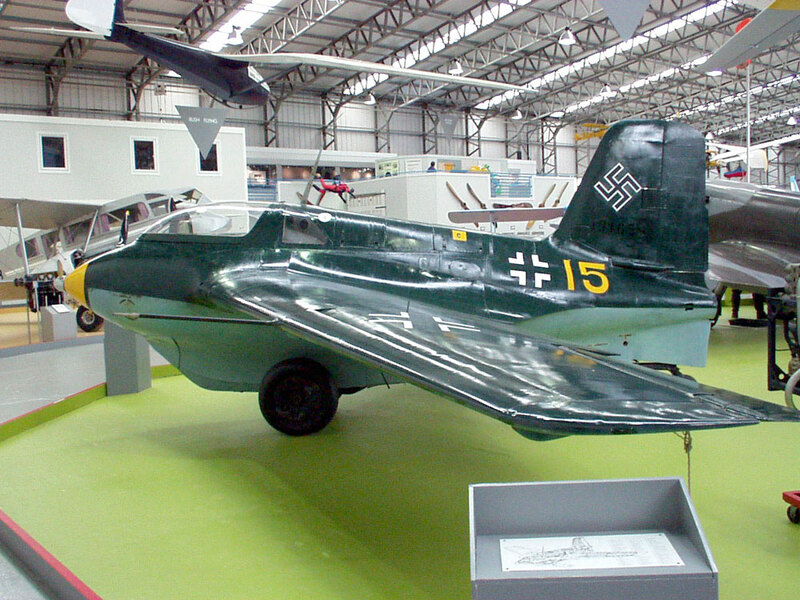 It was the Messerschmitt ME-163. Known as a "flying bomb" to its German pilots, who flew the extremely fast plane while surrounded by rocket fuel, it was the world's first jet. Eric Brown—a Brit who holds the world record for flying the largest number (487) of different airplanes—became the first, and only, Allied pilot to fly the ME-163. He describes the experience as "rather like being in charge of a runaway train ... It really took your breath away." Bos, Carole "Hitler's Nuclear Reactor and the Flying Bomb" AwesomeStories.com. Sep 04, 2013. Apr 24, 2019.